Have humans become so bored and needy that they need to be entertained at all times? 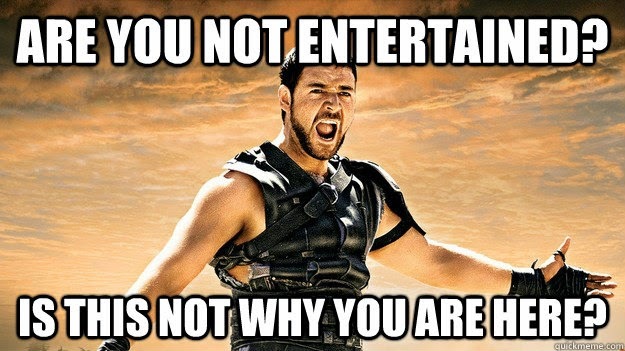 The last time I checked, football and sports in general were in fact a form of entertainment. So why do clubs try to come up with additional ways to entertain the crowd? Is watching your beloved club play not enough? Some stadiums around the world have cheerleaders for instance, and while I have absolutely nothing against hot flexible women, the idea that these gorgeous creatures are there to obviously entertain the men in the crowd is absurd. What's wrong with these men, and why is there a need for something else when you are knowingly and voluntarily going to the stadium to watch football. Many clubs have began to entertain the crowd at half-time. I for instance am totally fine with the sight of the sprinkler system watering the pitch. I especially gt irritated when there is some sort of contest at half-time, where some dude has a chance to win something really cool, and if he does he will also instantly become the hero of the crowd at the venue. What kind of nonsense is that? Why the hell would I want to sit and watch someone win something cool, while I'm in my seat drinking my insanely overpriced beer? 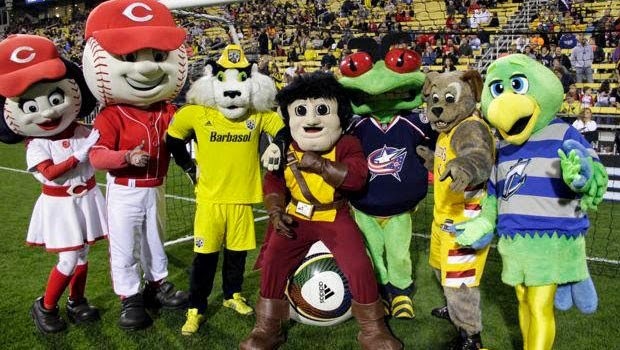 And then there are the really odd stuff, like the mascots playing football last weekend at the half-time of the Columbus Crew match in Major League Soccer. Who needs to watch that useless crap? "But it's for the kids" right? wrong! all you have as a result is a bunch of children who instead of remembering player names, ask you if there will be idiots in costumes playing the next time you try to take them to the match again. Basically, imagine you are at a rock concert and while the band takes an intermission, a zoo-keeper comes on to show you a mountain goat for 15 minutes. Who cares. Instead of constantly spending money on pointless entertainment, how about buying that player that will make the team better.